At National Dust Control Mats, you’ll find so much more than you’ll find with any other mat provider! We strive to provide a wide range of services at a high caliber to get your establishment clean. Along with our high-quality commericial floor mats and excellent customer service, we provide mops, aprons, towels, and facility products. And, unlike other mat providers, we offer both purchasing and renting options. As a customer-centered company, we strive to achieve quality customer relationships and ensure that your business care needs are met! We provide a full line of mat rentals for your business. Our mats are slip-resistant and durable. Make a great first impression of your business with professional logo mats. Your business becomes clean and approachable with high-quality dust and commercial wet mops. Take extra sanitation measures in your restaurant with first-rate bar towels and aprons supply service. Your business’s hygiene is extremely important, so we provide products to keep your space clean. 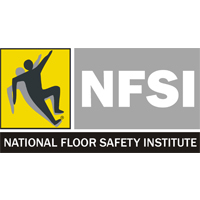 We are proud of our floor mat services, providing mats of the highest quality with a durable slip-resistant grip. The first thing a customer sees when visiting your business is the front entrance. If that entrance is not properly maintained, it can have a negative impact on a customer’s perception of how you run your business! By working with NDC Mats, you’ll get quality floor mats supplied to your facility. Then, on a regularly scheduled delivery, our specially-trained route worker will visit your location to carefully remove the soiled mats and replace them with fresh, clean mats. Our mat service will reduce slip hazards and enhance the appearance of either carpeted or tile floors by keeping them cleaner. You’ll experience lower floor maintenance costs, such as carpet shampooing and floor waxing, making this service a cost-effective investment for your business. Our top-of-the-line mats are constructed with a twisted nylon fiber surface on a 100% nitrile rubber backing, designed to resist curling and cracking. Our 90-mil backed mats have double the rubber of a standard mat. They are absorbent and dry overnight. In addition, they will trap and hold any soil, sand, and salt that gets tracked into your business. We also provide custom corporate logo mats displaying the design and colors of your choice. In addition, we supply wet mop and treated dust mop services, available in five different sizes. We also provide our customers with linens, bar towels and aprons, as well as a full line of restroom services, including the direct sale of paper products. Along with our extensive rental and service programs, NDC sells all types of mats directly to our customers, including anti-fatigue and safety mats. 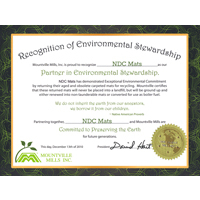 NDC Mats is a family-owned-and-operated business that has been providing quality products and service since 1970. We provide high-quality mat rental services for the New Jersey & New York Metro Area. We have a 100% satisfaction guarantee and will stop at nothing to make sure you are always happy with the services we provide. National Dust Control Services is a family-owned-and-operated business that has been providing quality products and service since 1970. We provide high-quality mat rental services for the New Jersey and New York Metro Area. We have a 100% satisfaction guarantee and will stop at nothing to make sure you are always happy with the services we provide.